As a result of impeccable management and off-the-chart growth, AGS Movers Lisbon has moved premises to accommodate its ever-increasing client base. 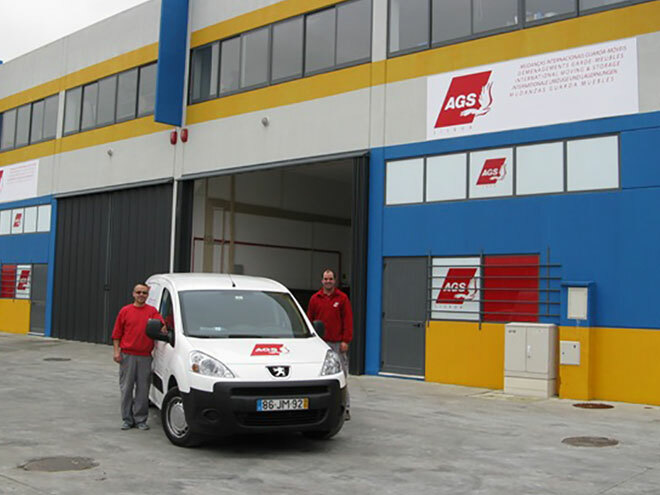 AGS has invested in larger and improved facilities so that the Lisbon branch can continue to offer quality service and streamline its day-to-day removals and storage operations. The increased volume resulting from the anticipated non-stop growth, will be eased by two new 502m² warehouses, one of which has been assigned solely to storage. The move has the additional benefit of putting AGS Lisbon in closer proximity to its key clients and the local sea port and airport. Portuguese-born Branch Manager of AGS Lisbon, Anabela Brites has been pivotal to the growth of the branch. Anabela joined AGS in 1996 and assisted with the creation and development of AGS Lisbon. Her professionalism led to her position as Branch Manager of AGS Lisbon in February 2007. With these advantages, AGS Lisbon is set to go from strength to strength. The Group wishes Anabela and her team every success. Click here for branch contact details.